← The Speech I Wish Obama WOULD Have Given…. Alton Nolan–The man accused of this crime. 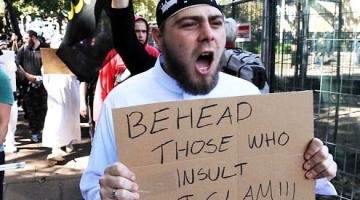 This is probably not the picture you had in mind when you heard of another “Islamic” beheading. Over the next couple of days, you’re about to hear a whole lot of hatred spewed from people who feel like their hatred is justified. A man in Oklahoma has murdered a woman he worked with–reportedly by beheading. 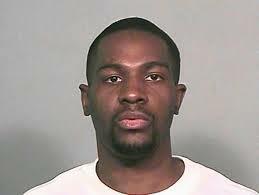 It is also reported that this man has recently tried to convert some of his coworkers to Islam. This comes right after American journalists have been killed by beheading recently. After hearing horrific stories like this, you, like many people, will be tempted to allow it to fan the flames of prejudice that burns in each of us to some degree. We can’t let this happen. We are better than our fears and our prejudices make us seem. 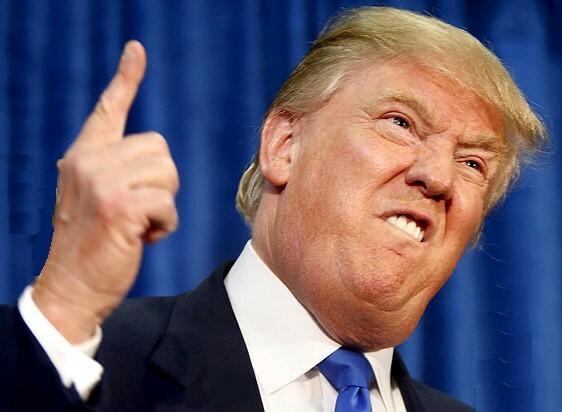 If you think this guy is representative of Islam, you might also think that the Westboro Baptist folks are representative of Christianity. It’s easy to give in to anger and fear…. The other night, I was driving with my kids after picking up some dinner to eat while we watched a movie (eating on the floor is way more likely when Mom is gone for the night), and I was in a hurry because is was getting late. On the way home, a Muslim man stepped out into the very busy road while walking next to his bike. He looked right at me and pointed–insisting that I stop. As I stopped, I was immediately pissed at this momentary inconvenience…. and his face seemed a little angry. I think I yelled something like, “What the hell are you doing?! ?” through my open windows (no A/C in the van) He was close to the front of my van, and for a moment, I considered locking my doors (but there is power locks–classy). Then I saw what he was doing. He motioned to a young women who was standing on the side of the road, trying to cross. She was holding her daughter’s hand (who looked about three) on one side, and with her other hand she held a baby in a car seat. 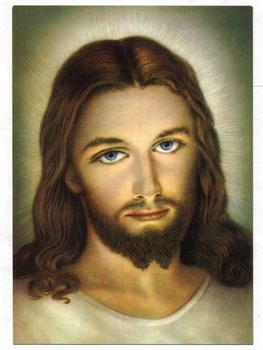 I hate to break this to you, but Jesus probably looked a lot more like a Muslim than this guy. The woman that this Middle Eastern man was helping across the road was African American. It shouldn’t matter, but for some reason it does to me…. That this man went out of his way and put himself in danger to help a woman from a completely different culture. He stopped traffic–one lane at a time, on a busy six lane road–and kept himself and his beat up bike between this small family and the oncoming traffic. When he got halfway across, he moved his bike to the other side…. Moving slowly, pointing at cars, insisting that they stop, speaking words I did not understand, ushering this woman and her kids along…. Loving a stranger. A stranger who was in the sort of situation where she felt like she had to walk her kids across Nolensville Road, AFTER THE SUN HAD GONE DOWN, to get to the freaking Walmart. I don’t care which God this man prays to…. I felt like I was looking at Jesus. If you feel like it, I would love it if you wanted to leave this post on hateful comments that you encounter online. This entry was posted in Uncategorized and tagged A Christian Response to Cutting Off People's Heads, Alton Nolen, Islam, Islamophobia, Jesus, Oklahoma Beheading, Spreading Fear. Bookmark the permalink. I’ve heard from Muslims who disagree with this. They don’t go everywhere publicly protesting these sorts of people like most of us Christians don’t actively stand outside Westboro HQ with signs with Bible verse preaching love. (Some do, and I openly applaud those who do!) The Muslims I’ve come to know are very kind and gracious people. I met two Muslims, a brother and a sister, who volunteered at the public library where we all lived. I found out that they, and several other in their congregation (I can’t ever remember the Islamic term for that.) dropped out of public schools where we live, in the South, about the start of the ‘Bible Belt’ because of the harassment they were receiving. It wasn’t until I witnessed some of this first hand, in the public library we all hung out at, that I realized it was as bad as i though. A fully grown man, wearing a cross and all, chose to harass my friend about her hijab, going as far as trying to remove it. Her brother was elsewhere among the books, and so I and our Jewish friend took it upon ourselves to help her. Our friend went to find one of the librarians, while I stepped up to the man to try to talk to him. I told him what he was doing wasn’t the Christian way, and he looked at me as if he though me stupid. Before he even opened his mouth, I paraphrased John 13: 34 and 35, and asked him why he though it fit that he should judge my friend by what he believed to be a sin, and yet reacted as if i shouldn’t judge him for doing something I believed to be a sin. I saw him raise his hand, and I was sure he was going to hit me. It turns out that the only male employee that was in the general area was the first one our Jewish friend had found. This man got his degree while playing football, so he wasn’t small and he wasn’t weak. After the police arrived and the man was escorted out, I asked my friend why she didn’t try to get him to leave her alone. “I’ve come to realize” she told me, “that if I react the blame it on me. Anyone will twist and turn the facts into a favorable fiction.” My friend had chosen to bear this man’s harassment rather then give him the satisfaction of letting him get to her. That’s what Christ would do. Thank you for sharing that, Eryn. Well said. It’s terrible, the things going on in this world but it’s even worse to believe that more hate can end hate, or more violence can end violence. You’re right about the fear. It’s almost all there is to see. It’s consuming in times like these. I pray though. I pray for peace- and not naively for peace on earth; choice allows enmity. Rather, like your post, I pray for peace in people’s hearts and minds. This post helps to answer that prayer. Well said. Someone once said, “Two hands working does infinitely more good than a hundred hands folded in prayer.” Pray all you want, but the only one it helps is you. Praying is not the answer to anything. But that doesn’t mean that prayer doesn’t have its place. Even if the prayer only changes the person who is praying, that’s still something. Huh, it seems that you took a lot more from my post than I actually wrote. I’m not sure how an expression of appreciation warranted presumption and insult. I agree with you Veronica to a degree, if all someone were to do was pray that would be a problem because we’re called to a lot more than idle prayer. I disagree, however, that prayer is useless. Faith gives prayer hands to do what human hands cannot. As always, your post is excellent. It’s so easy for people to fall into the pit of uneducated hate with regard to those who practice a religion different than ours. Thank you for the reminder that we need to be knowledgeable and diligent against ignorance and hate. Did you see this? I felt this really highlighted a lot of what you are talking about and was provided really great insight and perspective by Reza Aslan.